I am often hired to do/make unusual things that don't really fit neatly into any of my more usual job descriptions. They're sort of odd jobs. I don't wear a bowler while I'm doing them but maybe I should. 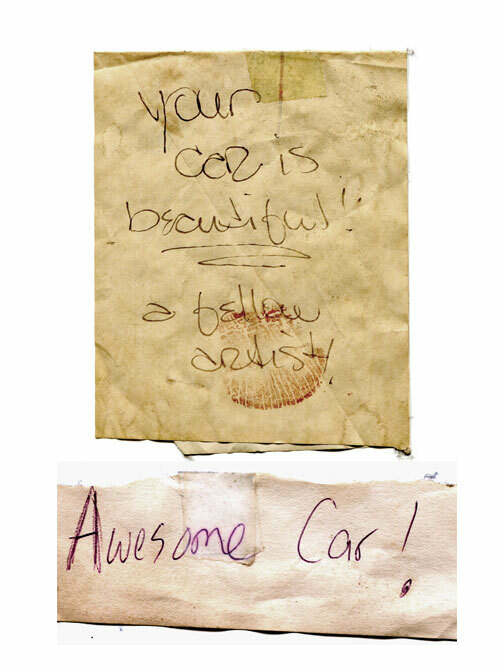 I also do a lot of oddjobs just for myself, like my (now deceased) art car. 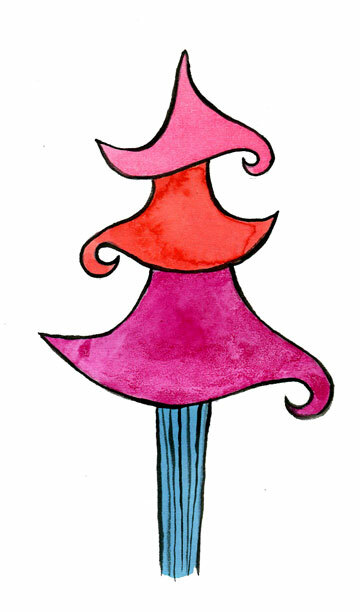 If you've got an unusual creative idea that needs implementation, give me a call. I love a challenge! 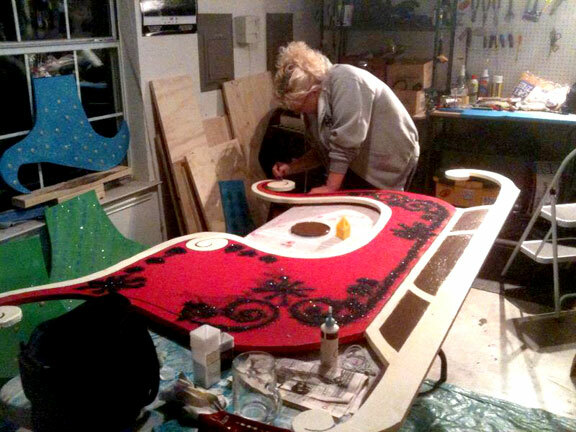 This is my lovely art car that I began painting in the winter of 2006. 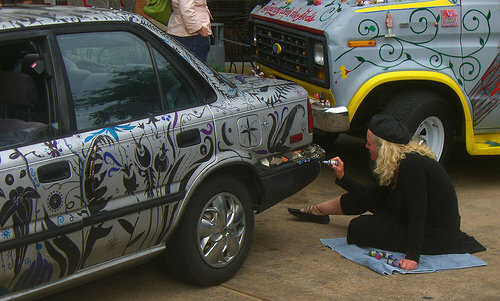 I went to my first Art Car Parade in Houston in May of 06 which was one of the coolest things I have ever participated in; the cherry on top was winning third place in the painted car category! My niece, Scarlett, worked with me that first winter painting the car and rode with me in the parade, playing her violin. The next year she entered her own art car. I drove Midnight Garden for about 5 years until a young man in a big hurry and a bigger truck plowed into us three days before Christmas of 2010. But I had a great run with my little painted Toyota and I loved the smiles I often got from folks on the road and the sweet notes left under the windshield wipers. 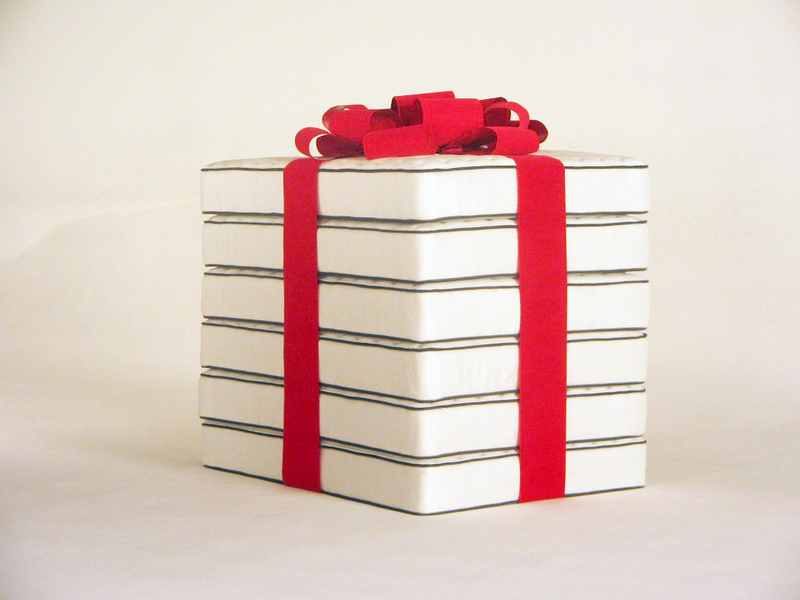 A producer called me a couple of years ago with an unusual request: the client, Sleep Experts, wanted a huge bow to set on top of a stack of mattresses with ribbons down the sides so the stack would look like a Christmas gift. Seemed simple enough, but I am here to tell you that building a 6' wide bow that will hold its shape is no simple task. But I did it. 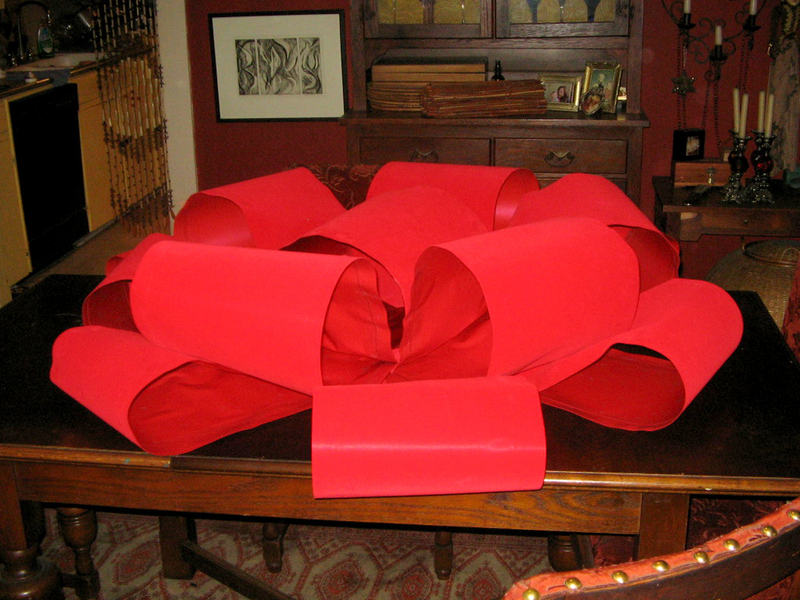 The photo of the completed bow on top of my dining table should give you an idea of its size. Melissa and David Loder first approached me with a unique project in the summer of 2011. 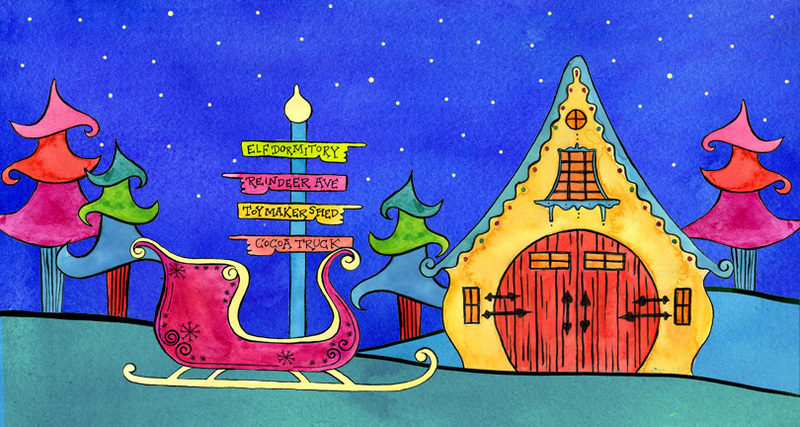 Deerfield, their neighborhood in north Plano, is recognized as one of the best for Christmas light viewing in DFW. Melissa and David had decorated in previous years, but decided that this year they were going to knock it out of the park. No cheesy, store bought decorations for them! 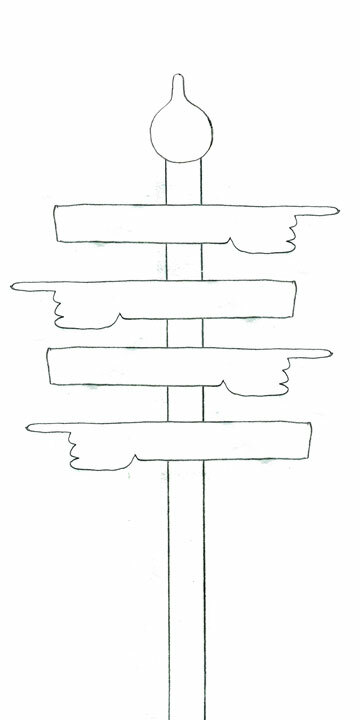 Melissa had an idea that she and David were going to build themselves; they hired me to put it on paper. We went through several rounds of sketches to arrive at the finals, drawn to scale so David could easily project them onto 4 x 8 plywood. I also spent a day helping them paint and doing hand-lettering. In 2012 a steam locomotive was added. 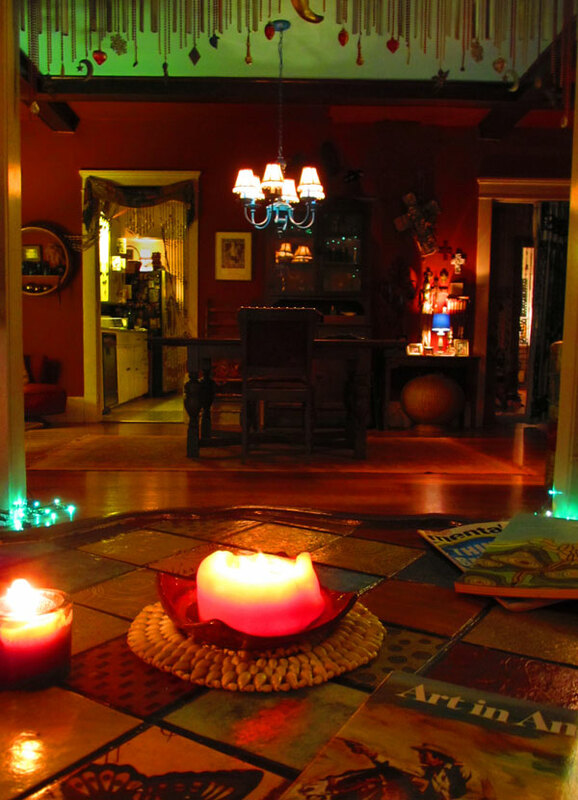 They won the coveted Best of Neighborhood that year and their home was featured in the DMN's GuideLive article on the best Christmas decorations of 2012. Melissa and I recently met to discuss what this year's addition will be. I can tell you this much: it will be terrific! If you're interested in unique holiday decorations of your own, contact me. I can provide illustrations that you can implement yourself or turnkey the entire project. My artist friends, Chuck & George (aka The Brians) have an annual Halloween party that is THE event of October in my neck of the woods. 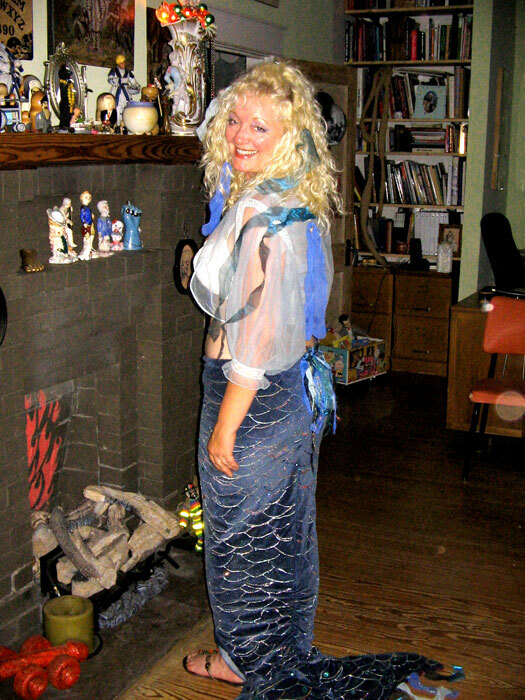 The first year I went, I pulled out an old mermaid costume that I had made many years ago. 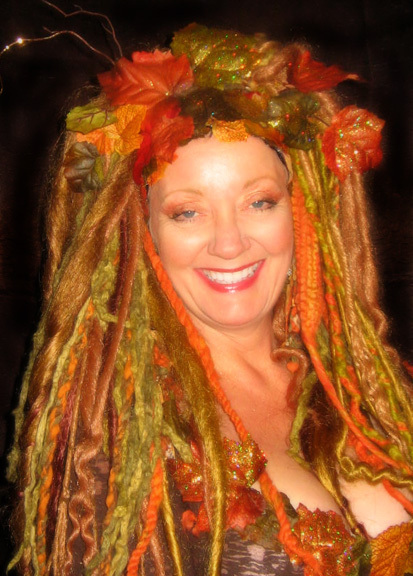 Last year I got it into my head, for reasons unknown, that I wanted to be a forest dryad. I locked on the idea of making my own autumn toned dreadlocks. Oh my, synthetic dreads are very time consuming to create! But they were well worth it. My hair was a success. 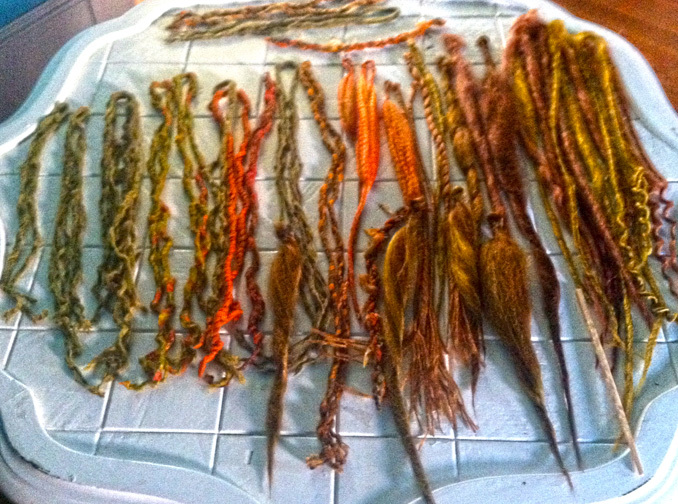 So much so, that I've started making dreads for all seasons and all occasions. I may make some for this year's costume. I haven't decided yet what that will be, but Lady Godiva has been discussed. From time to time people hire me to reinvent things for them (I've refurbished chandeliers, vanity stools, dressers, etc.) but this one was for me. During my two-a-day walks, I kept passing this chunky white coffee table at a neighbor's yard sale. I was so drawn to it but I kept passing it by. When it was still there after two days, I bought it. $15. What a score. I painted it with a base coat, then applied a tinted glaze. 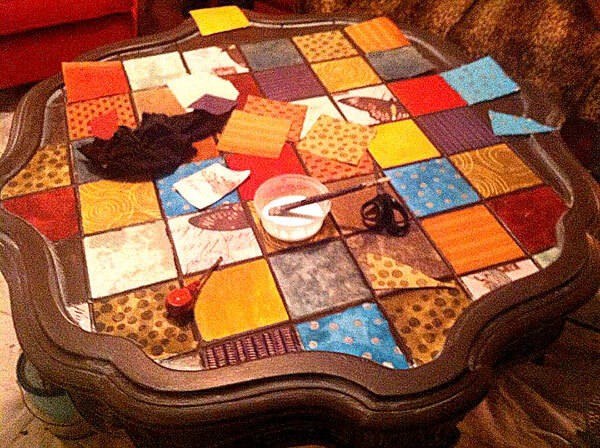 I cut squares out of an assortment of handmade papers, shopping bags and gift wrap and mosaic-ed the top with them. 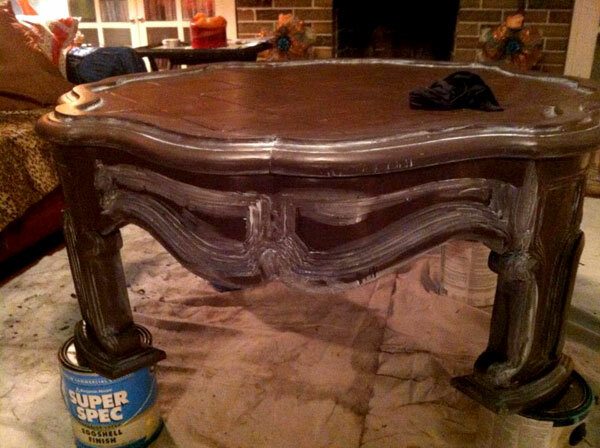 A couple of coats of polyurethane and voila! a fabulous show piece for my living room. 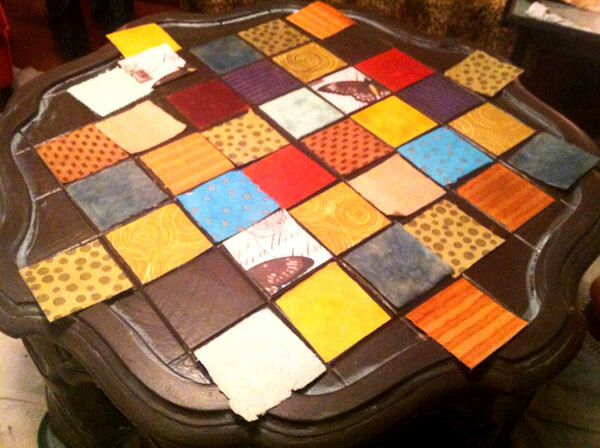 Guests have often mistaken the paper mosaic for tile. I love it.